follow publicly with gfc (pennywatcher). I haven't tried it yet. Although I've grown Stevia as a potted houseplant, I've never had Truvia or other purified Stevia products. I follow via GFC! I have never tried Truvia! I follow via GFC, and I've never tried it. Thanks! I've tried Truvia and I like it. I have tried Truvia before and love it! I tried Truvia when I visited my mother last summer and it is delicious! yes, I've tried Truvia and I like it. I've tried Truvia. It's wonderful! I follow as Renee G on GFC and have not tried Truvia yet. I use truvia regularly in my coffee. I have joined Join Truvia's Honestly Sweet e-club. 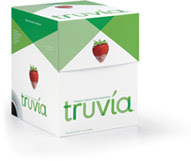 My husband loves Truvia, but I havee yet to try it. Also entered the Bengay giveaway. I follow you on GFC and I have never tried Truvia!! I entered glass dharma giveaway. GFC follower and we have not tried it yet because it always seems to be more expensive than the other brands!